World Water Day occurs every year on March 22, advocating for a more conscientious and sustainable use of our freshwater supply. Since initiated by the UN in 1993, it seeks to raise awareness and promote solutions for effective management of the world's most vital resource. 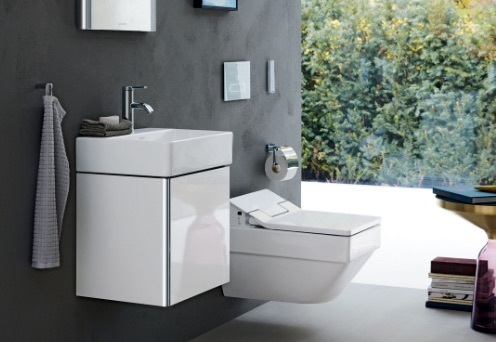 The issue of water conservation has resonated with Duravit for decades, and as bathrooms play a part in indoor water use, Duravit has concentrated on sustainability, having been a WaterSense partner for over 10 years. Throughout their WaterSense partnership, Duravit has been able to save over 2.1 trillion gallons of water and over $40 billion in water + energy bills. All Duravit wall- and floor-mounted toilets are WaterSense approved, which means that they meet the EPA’s performance mandate for High Efficiency Toilets (HET) - which is 1.28 or fewer gallons per flush (gpf). You can learn more about Duravit's stance on energy-efficient, adaptable design at bit.ly/DuravitGreen.